Experience a fascinating and largely hidden world of winter like it has never been seen before: Stunningly beautiful close-ups of delicate snowflakes, otherworldly - often microscopically tiny - formations of intricate ice crystals and iridescent air bubbles frozen mid-motion in high alpine creek ice. Witness through time-lapse how drops from melting snow seemingly magically change into temporary pieces of art made of sparkling icicles. In this amazing Short Film “Frozen World” the award-winning photographer Christoph Stopka captures Nature’s fragile, supercool fairytale land of ice snow. The frozen wonders of winter. It took Christoph Stopka more than five years (“…and many frostbitten fingers, toes and ears…”) to film and photograph the extraordinary footage for this film. Shot all around his hometown of Westcliffe, a rugged and unspoiled hamlet high up in the mountains of Colorado, Christoph Stopka faced a constant battle with the frigid elements: Crawling on all fours across dangerously brittle ice over remote creeks looking for unusual formations of ice crystals or chasing snowflakes in blizzard conditions while trying to protect his camera gear from freezing up, at other times making his way on snowshoes through deep snow drifts with 35 pounds of camera gear in his backpack and enduring many nights outdoors in sub-zero temperatures, with packs of howling coyotes as his only company. “Winter sure does not make it easy,” summarizes Christoph Stopka. 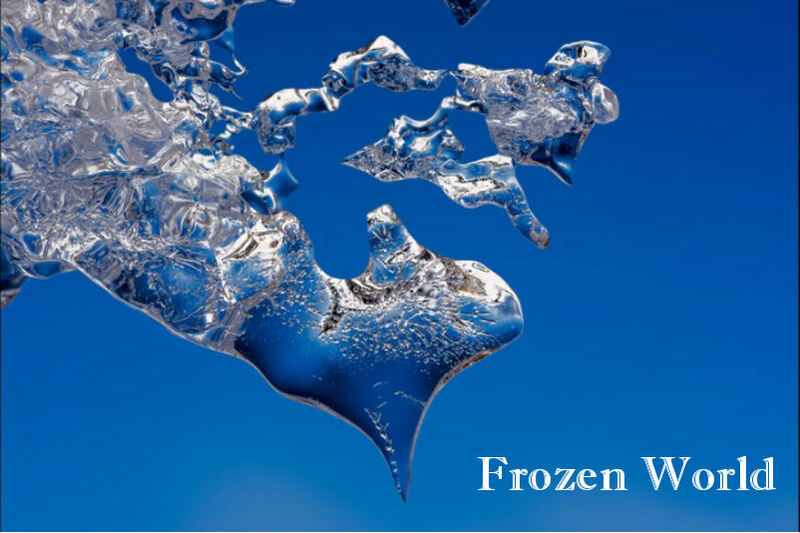 Christoph Stopka’s art book “Frozen World” (142 pages with more than 120 photographs, http://www.blurb.com/b/9278709-frozen-world was published in January of 2019. For Fine Art Prints of Christoph Stopka’s photographs and all other commercial inquiries please visit www.eagleseyeproductions.net. The Soul of Nature: Roaming bears and battling bucks, raging snow storms and flowery, alpine meadows in summer - experience a year in the life of the Colorado Rocky Mountains like you have never seen it before! Stunning close-ups and incredible slow motion footage of wild animals including bears, coyotes, deer and others. Macro shots of delicate snowflakes, horned toads and butterflies and other insects plus time lapse of storms exploding over the Rocky Mountains, flowers opening, underwater in a frozen creek and much, much more. The VERY best Nature has to offer. An uplifting visual feast combined with great music. At times intense and dramatic, yet soothing and relaxing overall. Christoph shows that being diagnosed with Parkinson's Disease or other illnesses does not have to be the end of a happy life. A short and uplifting video to inspire other people how to make the best out of the situation by staying active and healthy and keeping a positive attitude.